Six different players found the back of the net as the U SPORTS All-stars defeated Team Japan 6-3 on Saturday night at WinSport Arena. The win avenged Monday's 3-2 setback to the Japanese squad, as Team U SPORTS finished with a 3-1 record at the Summer Showcase - its best since first participating in the event in 2016. Japan opened the scoring when forward Rui Ukita slid the puck through the legs of U SPORTS goaltender Maude Trevisan (Montreal) on only Japan’s second shot of the game. 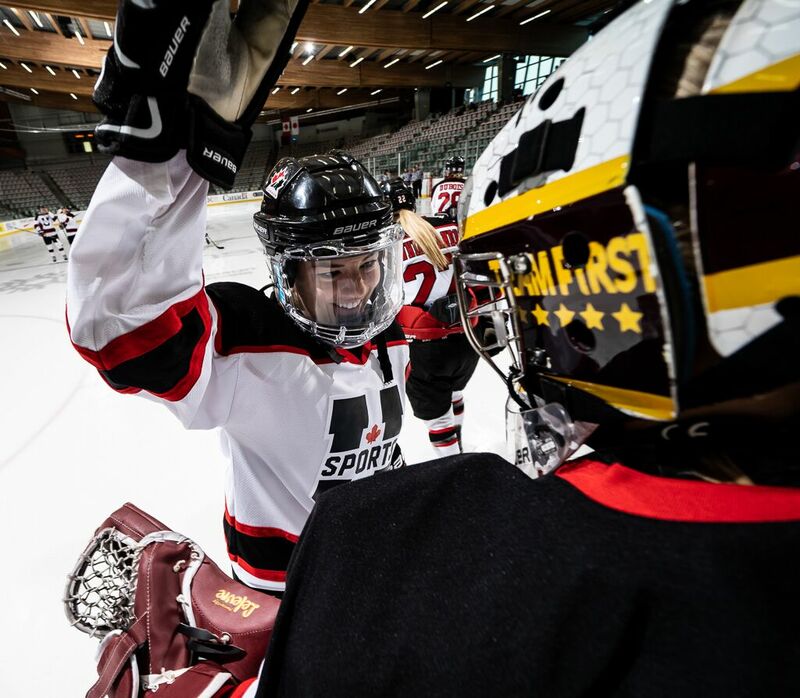 U SPORTS wouldn’t have to wait long to tie the contest, as April Clark (Western) deflected a point shot over the glove of Japan’s Sayaka Namuri. The teams exchanged goals, with Melodie Bouchard (Ottawa) adding one in the second. U SPORTS maintained most of the pressure throughout the game, doing solid work to hold onto the puck in all three zones. As was the case on Thursday against Canada’s Team Heaney, U SPORTS took a while to get their power play on track, going scoreless on special teams until Celine Tardif (UBC) fired a one-timer from the point over the glove of Narumi. 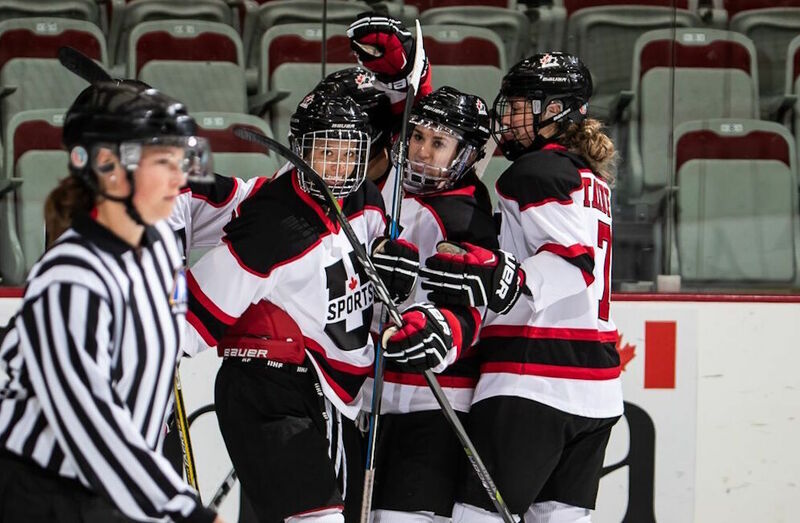 FINAL SCORE: U SPORTS Women's Hockey All-Stars defeat Team Japan, 6-3! Despite outshooting Japan, it took U SPORTS until the third period to really open the floodgates. Goals from Tardif, Sarah Bujold (StFX), Jade Downie-Landry (McGill) and Ailish Forfar (Ryerson) helped U SPORTS break the deadlock and push the game out of reach. U SPORTS took the third period by storm, peppering Namuri with shots and overwhelming the Japanese defense. Japan made the most of the chances they generated, scoring three goals, with U SPORTS not giving them many opportunities as the period went on. Head coach Stacey Colarossi (Laurentian) said after the game that this proved that her team hadn’t played to their potential the first time they faced Japan. 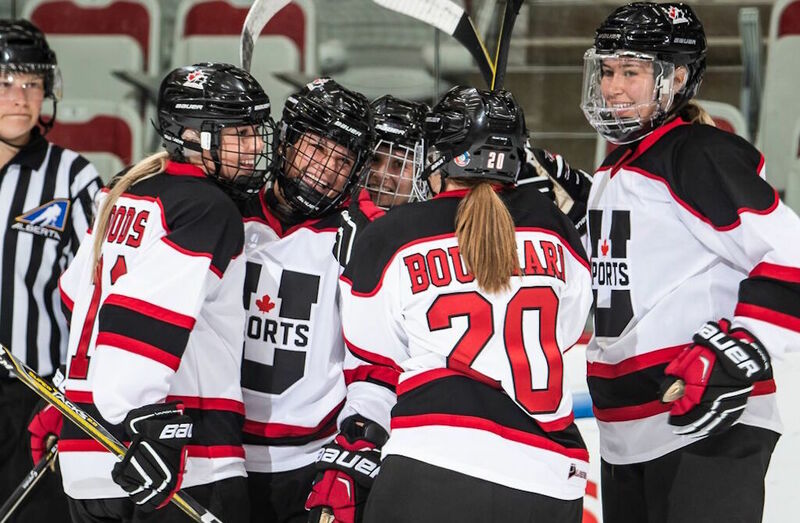 U SPORTS finishes the tournament having defeated every team, including both of Team Canada’s development squads. Colarossi sees this as a testament to the strides that U SPORTS women’s hockey has taken.